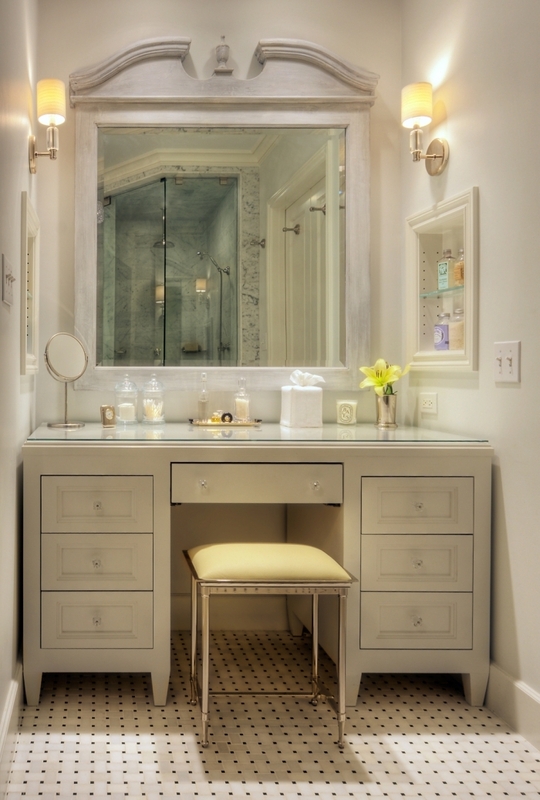 Style and functionality combine in bath cabinets and vanities designed to create your own private retreat, where your space is serenely ordered and uncluttered just as it should be. When you need storage as much as style, our ingenious bathroom cabinets offer conveniences like adjustable shelves, pullouts baskets and stackable drawers to keep small items neatly tucked away. 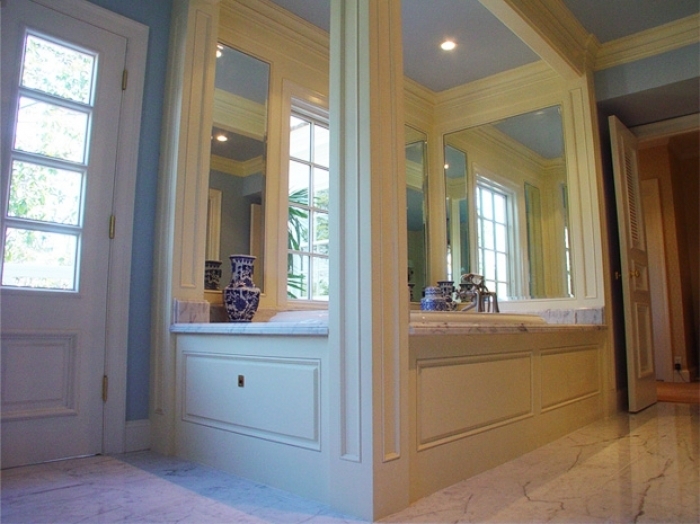 Do you have a distinctive look in mind that only custom bathroom cabinetry can provide? Design and customize your order with cabinets created from our wide selection of cabinet door styles, woods and finishes. 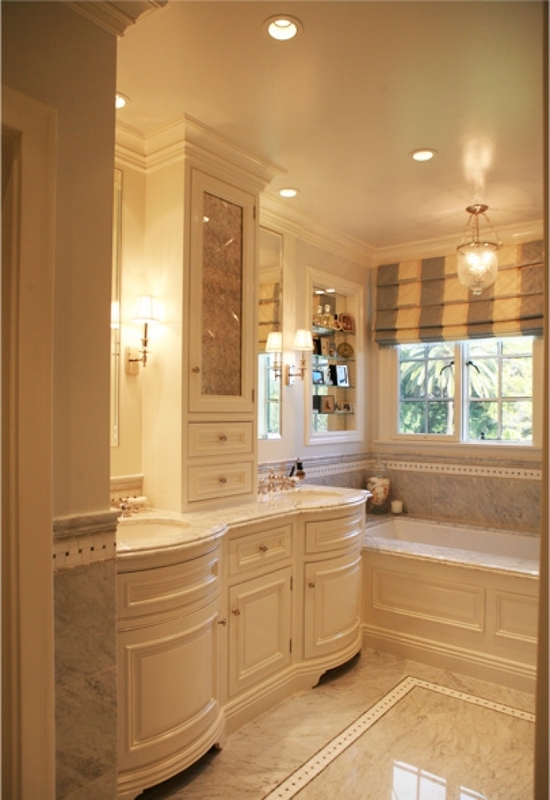 In this bathroom, a symmetrically balanced arrangement of sinks, mirrors, and cabinetry looks graceful and elegant, formal but not fussy. The cabinetry features exposed legs, which gives it the appearance of freestanding furniture. 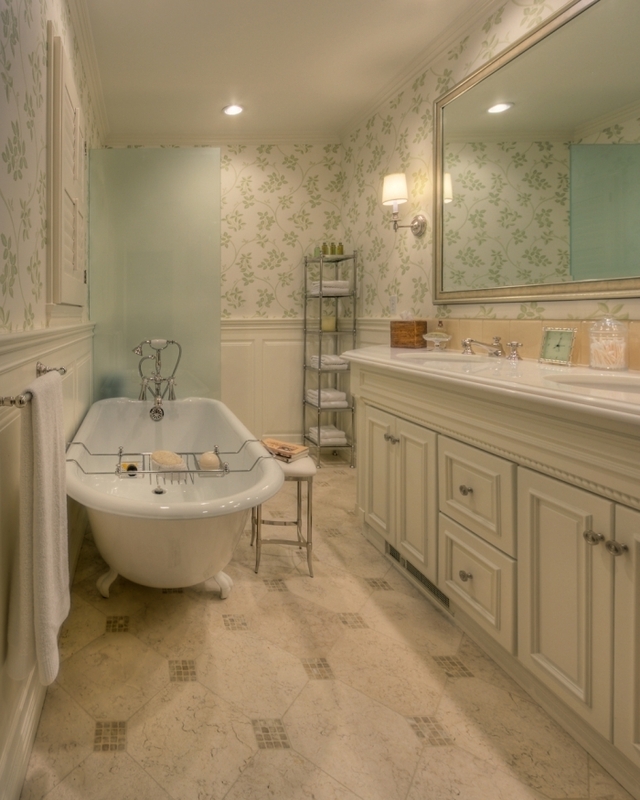 The central storage unit separating the two sink areas features an arrangement of cabinets and drawers that can hold hand towels, hair dryers, toiletries, and more. 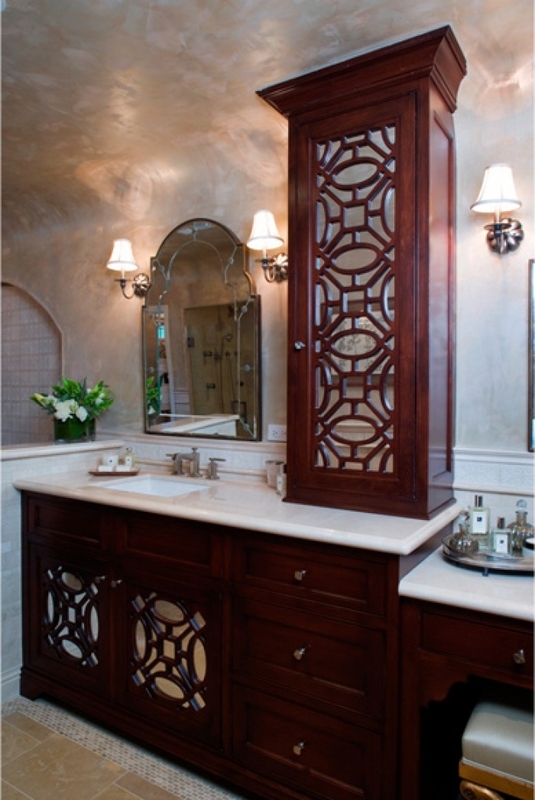 Our mission is to be the supplier of choice for stylish, quality, affordable cabinetry. 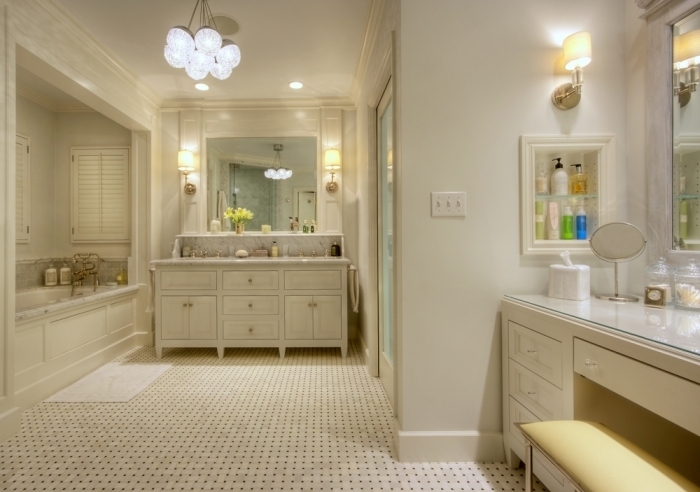 Start your new Kitchen, bath, or laundry design by selecting one of the choices with us.